An additional special filmfaced coating on the concreting side takes care of a homogeneous swelling of the wood and thus ensures even more an equally spread fairfaced concrete quality, right from the first utilisation. 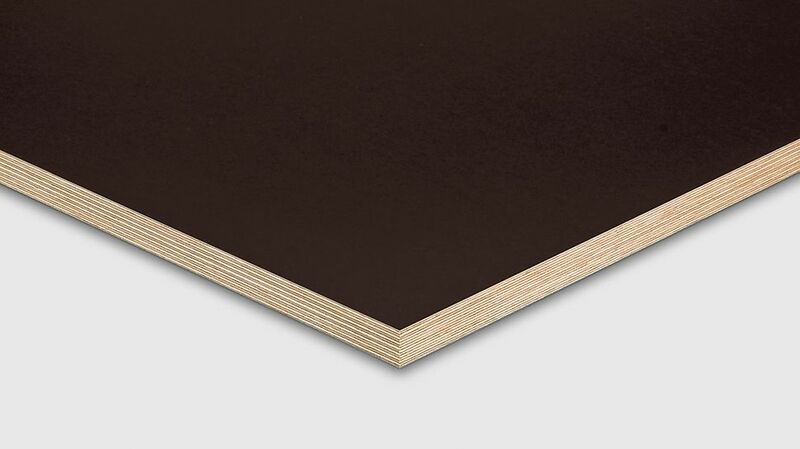 The Finnish birch plywood has been designed for concrete surfaces with highest requirements in the wall and slab area. A 15-ply veneer construction as well as the bonding according to DIN 68705 ensure stability and represent a high-quality basis for flawless surfaces. Application: wall and slab formwork panel for concrete finishes with highest requirements, fairfaced concrete finishes.